Tonight we have a homey kind of dinner and, since Sarah loves lamb, we all eat together! John marinates the lamb and cooks it on the grill. I steam the new potatoes and make the sprouts. I add some of the leftover parsley sauce from the cod a few nights ago. The dinner is pretty straightforward and tasty. 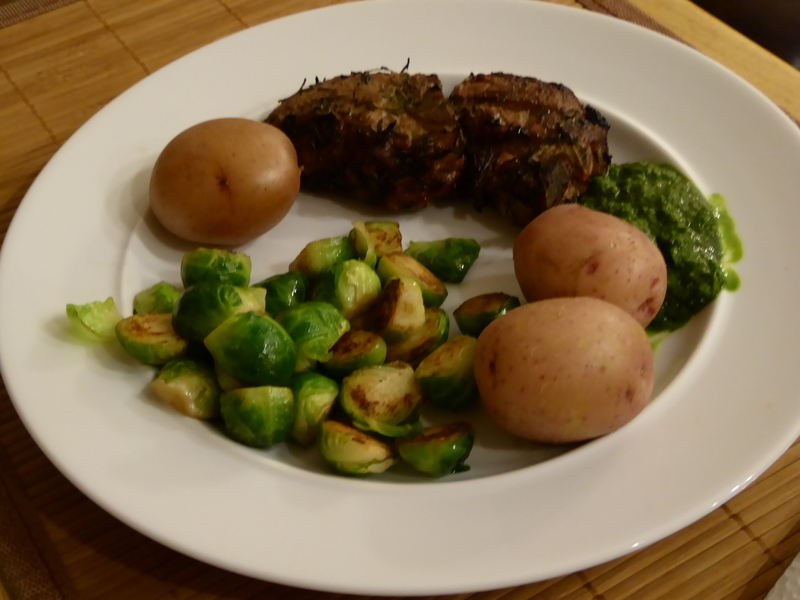 This entry was posted in Uncategorized and tagged brussels sprouts, grilling lamb, lamb chops, new potatoes. Bookmark the permalink.